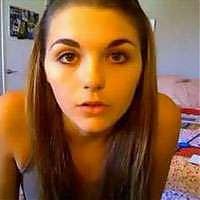 One of the most widely discussed media phenomena of 2006 has been the Ã¢â‚¬Å“television show,Ã¢â‚¬Â� LonelyGirl15 (LG15), which appeared not on TV but on the video sharing website, YouTube. The showÃ¢â‚¬â„¢s star, Bree, a sixteen-year old home-schooled girl with strict, religious parents, posted a series of videoblogs in which she would directly address the camera to describe her experiences. Playing on YouTubeÃ¢â‚¬â„¢s rhetoric of direct address and personal expression, LG15 quickly cultivated an enthusiastic audience, with many of her videos receiving over half a million views. Of course, we know now that Bree and her best friend Daniel are fictional characters created by a team of writers and producers who carefully manipulated the participatory aspects of YouTube. In short, the LG15 phenomenon illustrates the degree to which we need a new language for thinking about media literacy in the age of viral videos and participatory media in general. The place of video sharing sites in the university classroom has become a widely discussed topic among academics, most notably in Christopher ConwayÃ¢â‚¬â„¢s Inside Higher Ed article, Ã¢â‚¬Å“YouTube and the Cultural Studies Classroom,Ã¢â‚¬Â� in which Conway argues for using YouTube as a virtual library to support classroom lectures by providing students with access to obscure video clips. This Ã¢â‚¬Å“archivalÃ¢â‚¬Â� function of YouTube is certainly valuable; however, I want to emphasize the importance of video sharing services not merely for the content they provide but also for the tools and discourses that frame that content. Such an approach is modeled in Making MediaCommonsÃ¢â‚¬â„¢ video analysis resource, In Media Res, in which media scholars upload media clips, which they then read critically in order to provoke public conversations about media representations. As a professor of film and media studies, I have had both the opportunity and the challenge of teaching at a variety of universities and working with a number of different kinds of students. While I hesitate to generalize about my students, I have found that students are eager to engage with media representations, in part because of their awareness that media representations matter, that they have social and political consequences. In the last semester alone, students have raised questions about current media controversies, including the debates about ABCÃ¢â‚¬â„¢s documentary, The Path to 9/11, the video featuring George Allen using a racial epithet, a Muslim student at UCLA being tasered by a campus police officer, and most recently, Michael Richards exploding into a racist tirade at a Los Angeles comedy club. All of these events speak to problems of representation in the media and, more specifically, questions about how new media technologies are actively reshaping the political and public spheres. What is perhaps most significant about these media eruptions is the fact that these events were drivenÃ¢â‚¬â€�if not entirely producedÃ¢â‚¬â€�by the cheap production technologies such as cell phone cameras that make it possible to record virtually anything and the online video sharing services that make it easier for anyone to potentially reach a vast audience. For this reason, our conversations about these media events would also address the media themselves, the modes of production, distribution, exhibition, and reception that have given these videos an unprecedented visibility. In the case of The Path to 9/11, our spontaneous class discussion focused less on the content of the documentary, which few of us had seen, and more on the controversy itself, which was perpetuated in large part because footage from Chris WallaceÃ¢â‚¬â„¢s interview with President Bill Clinton, which had originally aired on Fox News, was posted to YouTube, where the clip gained new audiences when political bloggers began referring their readers to the clip. In the clip, Clinton carefully addresses the documentaryÃ¢â‚¬â„¢s depiction of his administrationÃ¢â‚¬â„¢s pursuit of Osama bin Laden. The controversies tapped into by the interview might have disappeared quickly had the clip not been given new life online. At the same time, the clip offered an interesting test case for debates about video sharing and copyright. When the interview first gained an audience online, Fox pulled the clip, citing copyright infringement, provoking questions about how copyright law can impede political dialogue; however, because this decision ultimately provoked a large public outcry, the video was placed back online. It is this close examination of new media technologies and the discourses that frame their use that attracts my interest as a media studies scholar and teacher: how do we engage with these new media technologies and how do we teach students to think critically about their potential uses? How do video sharing sites such as YouTube reshape our participation in the public sphere? Such questions, of course, do not have simple answers, and while students readily engage with the content of media representations, it is often more challenging to address the production and distribution systems themselves, which quickly become naturalized. This approach requires that we go beyond treating video sharing sites as virtual libraries where any imaginable video can be found and instead emphasizes the role of comments, video responses, subscriptions to specific Ã¢â‚¬Å“channels,Ã¢â‚¬Â� and other features of video sharing resources. In addition, video sharing sites also raise important questions about authorship, bringing into tension the boundary between amateur and professional media producers. Implied in these video sharing services is a kind of Ã¢â‚¬Å“cinematic populism,Ã¢â‚¬Â� one that imagines that anyone can make a movie; however, this new populism also must be understood in terms of YouTubeÃ¢â‚¬â„¢s relentless self-promotion as a site where anyone can achieve his or her fifteen minutes of fame. At the same time, this new cinematic populism becomes explicitly identified with authentic personal expression: as Matthew Klam observes, movies that appear online Ã¢â‚¬Å“shine a light on something innocent, unguarded and absurd. These films tend to take place in peoplesÃ¢â‚¬â„¢ bedrooms amid junk falling out of the closet and piles of dirty clothes.Ã¢â‚¬Â� It was, in part, this appearance of authenticity that made LG15 so popular, and this desire for authentic personal expression seems crucial to this new medium. This desire for personal expression is accompanied by similar desires to experiment with new media, to share videos with others, and finally to cite and recontextualize the work of others, including texts taken from the commercial media. In short, we are quite clearly witnessing a moment of profound transformation in the history of media. In looking at these changes, I want to think about the ways in which video sharing and other forms of participatory media are reshaping political discourse.